Various STM publishers, including Elsevier, are providing free access to books, journals and databases to support medical efforts in the Philippines and surrounding areas following last week's devastating Typhoon Haiyan. 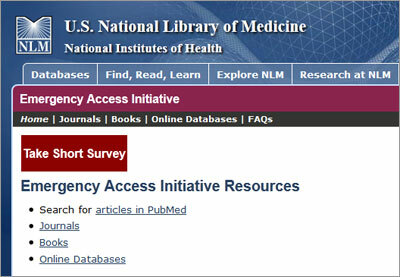 They are doing this through the Emergency Access Initiative (EAI), a partnership between the US National Library of Medicine and participating publishers to provide free access to full-text articles from more than 650 biomedical journals and 4,000 reference books and online databases to health care professionals and libraries affected by disasters. 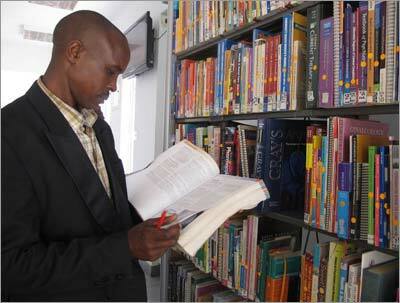 The access serves as a temporary collection replacement and supplement for libraries affected by disasters that need to continue to serve medical staff and affiliated users. It is also intended for medical personnel responding to the specified disaster. American Academy of Pediatrics, American Association for the Advancement of Science, American Chemical Society, American College of Physicians, American Medical Association, American Society of Health-Systems Pharmacists, ASM Press, BC Decker, BMJ, EBSCOHost, Elsevier, FA Davis, Mary Ann Liebert, Massachusetts Medical Society, McGraw-Hill, Merck Publishing, Oxford University Press, People's Medical Publishing House, Springer, University of Chicago Press, Wiley and Wolters Kluwer. Chris Shillum (@cshillum) contributed to this report. 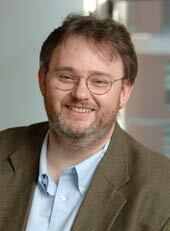 He is VP of Product Management, Platform and Content at Elsevier, based in New York.